As a new entrepreneur, Lauren Adelman of Human Revolution Clothing went searching for answers to these questions. What she found out was a real eye opener. For instance, did you know that, according to the USDA, over 90% of cotton grown worldwide is genetically modified? BT cotton is a GMO that was created with a bacterial pesticide encoded into every cell of the plant’s DNA. BT cotton also features terminator gene technology; that is, it produces sterile seeds that will not regenerate, requiring farmers to purchase new seeds every year. BT cotton is also the most chemically intensive crop in the world. In the United States, seven of the 15 pesticides sprayed on BT cotton are known to be human carcinogens by the EPA. Also, due to a weird FDA loophole, we ingest more cotton than we wear via cotton seed oil (found in processed foods) and cotton seed meal (used in cattle feed.) Since cotton isn’t grown as a food crop, the FDA doesn’t regulate it. This loophole allows known cancer-causing chemicals into our food supply without oversight. But when you look at the farmers who supply the clothing industry with cotton, the picture gets even worse. 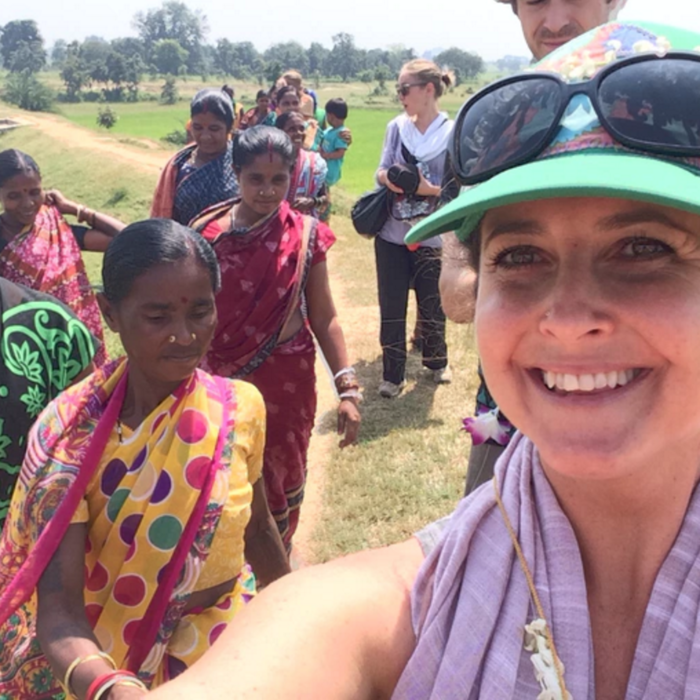 Lauren explains how India is suffering from an epidemic of farmer suicides that stem directly from the adoption of “modern” agriculture technology that has woefully failed in its promise to yield larger crops. The good news? People like Lauren are working with these farmers to develop and use regenerative farming techniques. These eco-friendly methods result in poison-free clothing that is stylish and affordable. As a result, more and more farmers in developing nations are able to grow organic, non-GMO cotton under fair trade practices that provide sufficient compensation to the farmers. Check out my interview with Lauren, a pioneer in the sustainable clothing movement. You may also want to support her like I did, by contributing to her Kickstarter funding campaign.